Panthers Nation – Grab This Nike Panthers 2013 NFC South Division Champions T-Shirt! 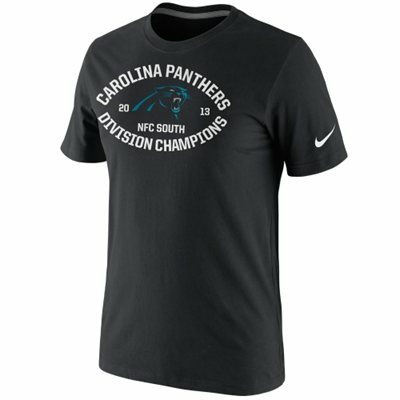 The Panthers are the NFC South Champs, and today you can own this sweet Nike Panthers 2013 NFC South Division Champions T-Shirt from Football Fanatics! Click HERE to order yours today to make sure to get it in time for the NFC Divisional game next weekend! Don’t miss out on this and more great Panthers Title Gear – see all of it HERE!